Profits Interests, Service Provider Executives, and the Non-Employee Employee - Trepanier MacGillis Battina P.A. The use of profits interests as a form of incentive compensation by limited liability companies (“LLCs”) is increasingly popular. A hallmark of LLCs is that they can issue two different types of membership units: capital interests and profits interests. Capital interests are typically held by those who invest money – capital – into the business. Holders of capital interest are immediately entitled to distributions, if any, of profit or from the sale of the company. Holders of profits interests, however, are usually only entitled to distributions arising from future profits or growth of the company. For example, if the founder invests $1 million in the company in exchange for capital interests, a subsequent member brought into help run the enterprise who receives profits interests would participate only in distributions after the original capital is paid back. So, in the case of a sale of this company for $4 million, the capital interests member would receive a distribution for the first $1 million and then the capital interests member and the profits interests member would both participate in the distribution of the remaining $3 million, allocated based on the number of interests they each hold. This form of equity compensation is fundamentally different from stock options granted by a corporation and more akin to a grant of stock appreciation rights, also known as “phantom stock” which provides the recipient with contractual rights based on the growth in the value of the company. Phantom stock does not provide any actual ownership rights in the business. A grant of profits interests units, however, results in the recipient immediately being considered an “owner,” especially for tax purposes. Unless they specifically elect to be taxed as a corporation, LLCs are treated as partnerships by the Internal Revenue Service (“IRS”). And, under longstanding IRS guidance, partners cannot be paid as employees. This means that members of an LLC cannot be employees, even if their ownership is limited to profits interests, even if they hold only a very small number of units, and even if they work full time for the company. LLC members receive a K-1, not a W-2 and not a 1099. Some companies developed a work-around to avoid this issue by granting profits interests in a holding company that owns the operating company for which the executive is employed. One commentator has suggested that 2016 IRS regulations no longer allow this approach. Further discussion of how LLC members are taxed is beyond the scope of this post, but let’s get to the employment law part. What do you mean I’m a “Service Provider”? Other consequences arise as well. As a non-employee, she may not be eligible for certain “employee benefits.” 401(k) plans may be amended to allow “compensation” under the plan to include “earned income” not just W-2 income. Certain group health plans may not be as flexible, however, when it comes to pre-tax contributions but may allow after-tax contributions. Whether myriad other laws protecting “employees,” such as discrimination laws, whistleblower protection, or payment of wages statutes apply to service providers is an open question to be determined on a case-by-case basis. An executive brought on to an LLC in exchange for a salary and profits interests is the platypus of the employment law world – not really a true owner and not really an employee, but a little of both. If you have questions about a profits interest agreement contact the executive employment attorneys at Trepanier MacGillis Battina, P.A. 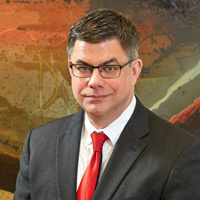 V. John Ella is a Minnesota executive compensation attorney. He can be reached at (612)-455-6237 or at jella@trepanierlaw.com.